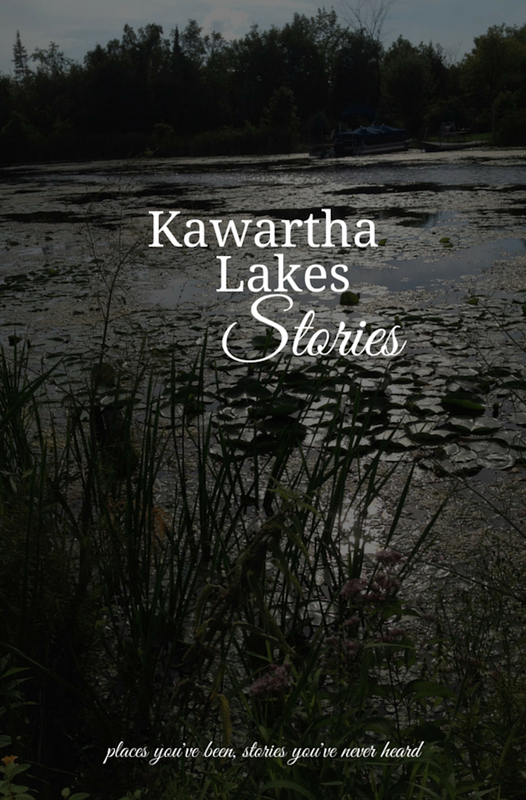 This second volume of Kawartha Lakes Stories takes readers on a journey through the darkest of seasons. A mix of genres– including historical, memoir, comedy, poetry and more– reveals Kawartha Lakes as its never been seen before. My story, Rough Justice, is the account of an elderly man trying to balance the scales and concern for his grown daughter’s well-being. When writing the story, I knew I wanted to write about a conflict that dealt with socio-economic issues. I also wanted to look at how pervasive technology has become in today’s society. How long have you lived in Kawartha Lakes? What attracted you to the area? I have lived here my entire life, with temporary moves out of the area for school/work. Having most of my family living in Kawartha Lakes and the surrounding area, this is my home. What do you like about living in Kawartha Lakes? What do you wish you could tell non-residents about Kawartha Lakes? Kawartha Lakes is home to many artists, who work in a variety of art forms (theatre, photography, paint, jewellery, pottery, writing, etc.). Perhaps by visiting, you will find inspiration as well. What else do you write? Where can readers find more of your writing? I belong to the Circle of Writers group at the Kawartha Lakes Library. I am working with my CSARN mentor, Sylvia McNicoll, on a novel. Additionally, I have recently joined CANSCAIP – The Canadian Society of Children’s Authors, Illustrators and Performers. I have a few projects on the go; however, “Rough Justice” is the only one that is publicly available at this time. This story is loosely based on the illness that spread through the town of Lindsay, then Purdy’s Mills, back in the early 1800s. It was a devastating illness for the town, wiping out nearly a third of its population and was most likely a malaria-type, insect related disease. Although the town was still in small in population when the ague struck, tragedy like that scars a community and it’s likely that a few ghosts were left behind. It was my aim to breathe some life into that tragedy while showcasing the beautiful cemeteries in Lindsay, in particular the St. Mary’s cemetery. As soon as you pull into the driveway there’s this single-lane winding road; the house, then the long lane flanked by perfectly aligned trees. It’s really quite pretty and peaceful. I’m an import, by way of Peterborough where I’ve lived most of my adult life. When we had a younger family and needed the space, Omemee was far enough outside Peterborough where we could actually afford a house with a yard so we took the plunge and moved. We’ve been here over eight years now and we love it. There always seems to be a dark element to the stories I write, but I’m a sucker for a happy ending. Not that everything I write is roses and puppies, but if it makes sense and I can even leave my readers with a hint of happy, then I’ll try to do that. With this story, for example – I don’t want to give anything away, but I will say this: At least they’re together, in the end. My story is about an old lady’s choice to stay on her family’s farm in the City of Kawartha Lakes with the help of a friend that nobody else understands. My story was inspired by what I saw with my grandfather and father, and how committed they were to leave the generational farm to the next generation. My second character is based on my experiences while being alongside a close friend in the deaf community. Kawartha Lakes is the only place I know where one can buy a rooster at the Woodville salesbarn on Saturday morning and in the afternoon can go to the Ross Memorial Hospital in Lindsay and get a CT scan done in one of the province’s best fracture clinics. Kawartha Lakes has free wifi in the public libraries which is breaking technology however, it is common to see an Amish family driving in a black buggy being pulled by a horse– and everybody lives in harmony. Kawartha Lakes welcomes the cottage community with tons of activities and goods specifically for those needs for the urban population however, the country population have full services here too. Few places keep the balance between urban and rural so equal as does the Kawartha Lakes. I’ve been a freelance journalist for many years. I did ten years as a municipal political reporter at a local newspaper and a few years at different publications covering community events. Four years ago, I became an agricultural photographer/reporter for the monthly newspaper “Voice of the Farmer,” which evolved into two years ago as a contributing editor position starting the popular column “Between the Chores” which is a funny look on our misadventures here on our little hobby farm on page 4. To read more, go to http://www.durhamregion.com, go to print editions, to community publications. My story is about a cello player who is let go from an orchestra in Toronto. He heads up to the Kawarthas to find out where he and his music belong. While he is in the town of Lindsay he hears the sound of a flute playing which draws him to explore its source. I am a daydreamer and I often place myself in another world when I am walking. This idea occurred during a sunny day while I walked up Victoria Street. The day felt unreal and enchanting and I had music running through my head at the time. The story was drawn out of the senses I was using at the time. I came to Lindsay because of work. It was 2003 and SARS had it. I worked in a hotel and business came to a halt. Fear of loosing my job prompted me to look for work in the public sector. The job I found happened to be in Lindsay. I enjoy the fact that there are lakes and rivers near by. It fulfilled my desire to kayak which was difficult to do when I lived in Toronto. Explore, there are many places to walk, fish and boat and sometimes the best spots are hidden. If you come up here make sure to bring your rod. I am a multi-genre author and I have written two YA paranormal novels, 3 short horrors and a children’s book. I am currently editing a Sci-Fi that I hope to have out this year. You can find a list of some of my works on www.stefanellery.com and you can also find my works on Amazon, Kobo, iBooks and Barnes & Noble. My work is available in electronic format and print. A couple from London, England who have lost the magic in their marriage, accept the offer of a free holiday in Toronto. Things don’t go to plan with their hosts and they relocate to a grand cottage in the Kawartha’s. The experience of city dwellers left to their own devices in cottage country might have been a challenge, but a visit from a strange man, claiming to be a Shaman brings renewed hope for their marriage. That has to remain a secret. 5 years (3 full time, 2 as weekenders) Even though I lived in Ontario cities for over 35 years, I never felt at home and hated the hustle and bustle. Kawartha Lakes is accessible without having to travel the 400 highway! Here people look you in the eye, smile and say hello, how are you, great/awful weather. The lakes are lovely and even if you can’t live right by a lake, they are always visible, especially in Bobcaygeon. Although Bobcaygeon is sleepy in the winter, its great to see the town come alive with visitors in summer. I have completed an historical fiction, somewhat based on the unusual life of my ancestors from 1905-1945. It is in the process of being published by Black Opal Publishers and I HOPE it will be available this autumn. I have completed a story about Pigeon Lake and the Osprey that nest there every year (anyone want to publish it???) and I often scribble story lines that I hope will lead somewhere eventually. “Unreasonable” is both a ghost story and a social comment, exploring which fears truly drive us, and what we learn from them. Very loosely based on an event that happened in my house years before I lived in it, “Unreasonable” came about as an entry in the New York City Midnight Short Story Challenge (an international contest that saw over 2100 entrants). My submission qualified as a semi finalist and moved on to the second round of 300 competitors. I am a member of the Playwrights Guild of Canada and am currently expanding one of my plays, Forgotten, into a YA novel. My story is about cottage memories and how they lead to romantic possibilities. We owned a cottage on Sturgeon Lake for 12 years then a home on Pigeon Lake for the last 16 years. Originally it was an escape from the hustle and bustle of Toronto but we gradually came to love the peace and tranquility of the Kawarthas and decided to retire here. I love the slow pace of life, the beauty of the area and the friendliness of the people. I’ve had three novels for 8-12 year olds published, Mystery House (translated into French, Italian and Swedish) Keeping Secrets ( translated into Japanese) and Still At War. I’ve also had many short stories and articles published in newspapers and magazines. My books are available in public libraries, book stores and through Scholastic book clubs. “A Prom to Remember” is a story about the consequences of lust in a small town. I wanted to try something a bit different from my usual path and dabble my feet in the waters of Bodice Rippers. As Lindsay literally has a river running through it, I could think of no other place to use as the set piece. We were transplanted from Toronto 4 years ago when we had enough of flooding. We were looking for a great place to raise our kids and so far the town has delivered. Our lifestyle here is busy but it does not feel overwhelming which is what we needed. The city of Kawartha Lakes has everything you need when you really think about it plus if you need the big city fix, you can be there and back with ease. I keep moving my style around but inevitably, I end up writing about dragons again. There is one story that just keeps lurking in the back of my mind so I have a feeling that trend will continue until I can find a way to release it. I do dabble in sci-fi, mysteries, horror, poetry, action and the like. A collection of these can be found in my first book, Jigsaw: Pieces from a Concussed Mind. Jigsaw: Pieces from a Concussed Mind REDUX is available via Amazon. My website is clintcummings.net and that will be the place to find all my updates.